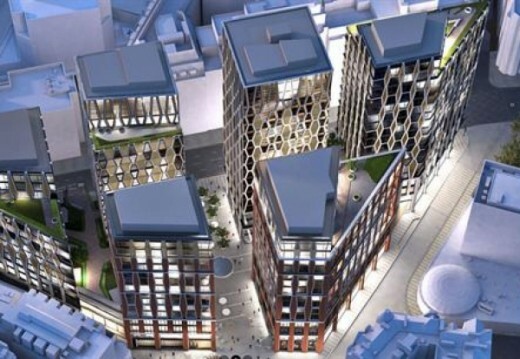 Plans have been approved for the 268-home mixed-use redevelopment of the site of Metropolitan Police’s New Scotland Yard Headquarters in London. Developer BL Development Ud, which is owned by the Abu Dhabi Financial Group, has gained permission to tear down three existing buildings of seven, nine and 21 storeys on the 1.78-acre triangular site just south of St James’s Park in Westminster, reports www.constructionenquirer.com. The Abu Dhabi Financial Group bought the building for £370m in December 2014, and then appointed Northacre, in which it is a major shareholder, as development manager in June last year. It will now clear the way to build six residential-led buildings ranging from 14 to 20 storeys. The plans designed by Squire & Partners deliver 246 super prime apartments. The whole development is carved broadly into two halves, and will sit on two four-storey “podiums” housing retail units on the ground and three storeys of office space, with the resi buildings coming in three-a-piece on top. Work on the development is expected to start in 2016 and complete in 2021. 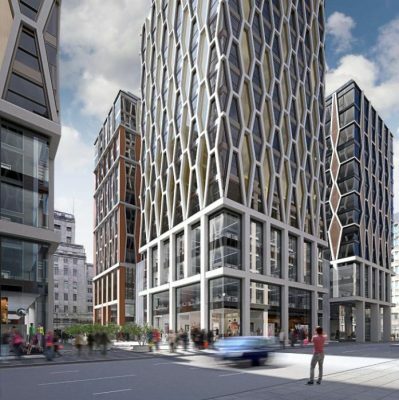 Northacre recently appointed Balfour Beatty to deliver another super prime scheme next to Buckingham Place. The high-rise Metropolitan Police Headquarters building opened in the 1960s, with an iconic revolving triangular sign.